This article explains how to deploy and register SOLIDWORKS add-in manually. Once project is successfully compiled all required binaries and data files are placed into the output folder. When deploying the product (add-in or stand-alone application) all files must be deployed (including any 3rd party dlls or interops). You may exclude any supporting files such as pdb-files or xml documentation files. Copying the files to the user machine is not enough to register it on the target system. It is also required to register add-in COM object and add corresponding entries to the registry. It is required to use the correct version of the framework depending on the target framework add-in was compiled to. To register COM add-in (C++) it is required to call the regsvr32 utility. Registration usually requires running the Command Prompt as an administrator. It is not required to register COM objects for stand-alone application unless it explicitly requires this. 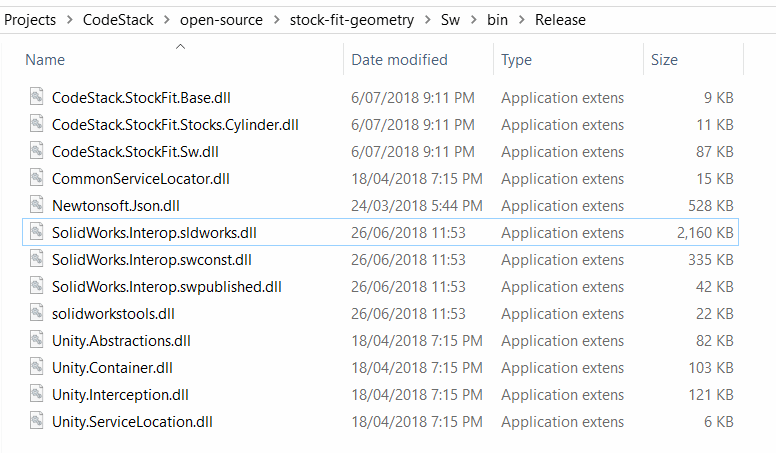 Information about the add-in needs to be added to the registry so SOLIDWORKS can correctly load the add-in. It is possible to create a registry file which will be adding this information to the registry. 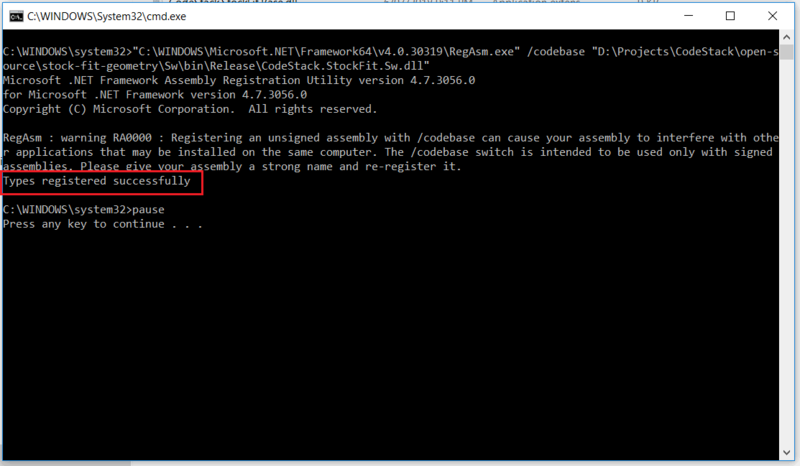 To unregister the COM add-in it is required to call the regsvr32 utility with /u flag. Change the name of the add-in and place these files into the bin folder and it will be only required to run this bat file on client machine.